February 19, 2015 has left a mark in history which has not only affected the people here in Toronto, but the news has traveled across the world with this heartfelt story. 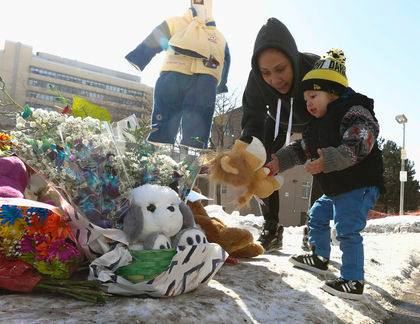 Elijah Marsh died at the age of 3 outside in bone chilling weather roughly below -20C wearing nothing but his diapers and a T-Shirt. There was camera footage of a child who fit Elijah’s description leaving the lobby from his grandmother’s building at approximately 4:05 am and the police estimated that he may have been outside for 6 hours. 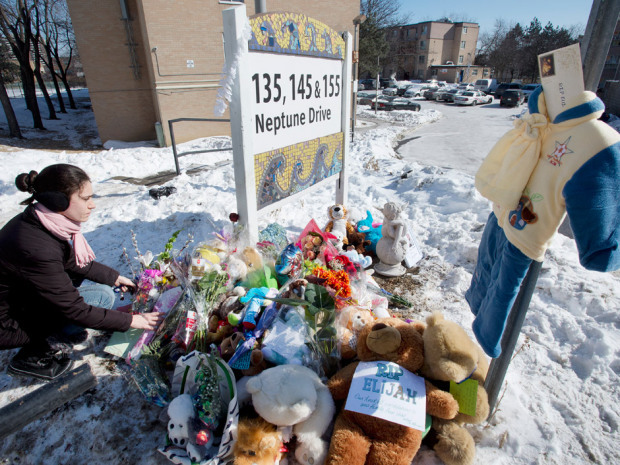 This tragedy has opened a window of questions that so many people have asked like “where were the parents?”, or “how can they be so neglectful?”, “why wasn’t there any proper locks?” and the list goes on. First and foremost, we have to remember that Elijah was 3 years old and we cannot take away the fact that children are adventurous, and are very capable of figuring things out on their own, so we have to just accept that he was capable of unlocking the doors and was able to escape on his own…..period. Think about it; when you put your child to bed, and you are dead asleep, you would assume that the child would remain asleep in bed until a reasonable time in the morning right? Only the parent or the guardian who is in care of the child would be familiar with the child’s sleeping and waking up patterns. There will be those days when the child may wake up randomly during the night either to use the bathroom or to simply wake you up and tell you that they had a nightmare or something. Pointing the finger at this family for what has happened is not what they need at this time of mourning and the backlash from the media or from anyone at best is unnecessary. The fact remains is “they have lost someone” and anyone who has lost someone knows that you are simply looking for peace and understanding; support from those who knew him or the family as this loss will remain with them forever. I am sure they are blaming themselves, but honestly there was nothing that could have been done. 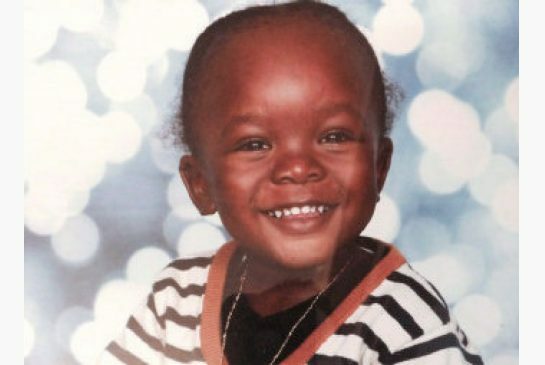 A man named Justin Kozuch from Toronto was moved by this sad news and by his own free will he started a crowd funding to raise funds for Elijah’s funeral. The family did not ask for this kind gesture, but Kozuch took it upon himself to aid the family and the intention was to raise $20,000. As the story of Elijah’s unfortunate passing spread, so did the want from others to show their support by making a contribution. A woman by the name of Maria Petrov had also started a second fundraiser on her own and was able to raise an additional $4,100.00 to alleviate some of the financial stresses the family may have. I have to say that I was moved at the fact that even though the goal Justin Kozuch of $20,000 was met, the money kept rolling in and I am happy to say that yes it has reached a whopping $173,557. CAN YOU IMAGINE!!! Elijah’s mother has thanked Justin Kozuch for his kindness and appreciates the response that they have received from all over. Kozuch mentioned that he hoped to see that the family would start a scholarship or a grant in Elijah’s name, but of course the final decision as to what they would like to do with the money is up for them to decide. Now that the Marsh’s have all of this money, the public wants to know “what will they do with all of it?”. People have started making calculations on funeral costs, and stating that they just may end up spending it all on something stupid, go travelling or having a good time with it all. I’ve read the comments, heard from many people that they have too much money and I am disturbed at the fact that people even think they have a say in what they think the family should do with it. Losing a child is devastating so can you imagine what the mother is going through right now? Who knows if there will be therapy involved for this traumatic experience. Put yourself in her shoes and ask yourself this question; would you be thinking about different ways of spending all of this money or are you simply heartbroken at the fact that you lost your child whom you will never ever see grow up? Just marinate on that question. You won’t be able to see him off to school, you won’t be able to help him with his homework, won’t see him graduate, see him off to college like HE WAS ONLY 3 YEARS OLD!! NO ONE has the right to dictate to anyone as to what the Marsh’s aught to do with the money that people have generously donated in this time of pain and suffering. Who are we to say that they have too much money for a tragic event like this? Is there a price now for what a person should receive when there are donations involved? She received around $174k and a number of people are angry at this so could you imagine if she got half a million or even a clean Mill? She would definitely have to go in hiding because i’m sure extended family would hunt her down just to get some. (What a shame). With the loss of little Elijah, this sad turn has in a positive way has brought not only the people in his community together, but people from all over the world. In times like these where people are all for self, it is a great feeling to know that there are kind people who still do exist in this world who can relate on this level. Many family’s, single mother’s, father’s have lost their child at a young age and are in turmoil because they are all thinking that they won’t get to see their child again. Let us put this hatred aside towards the Marsh’s for the money they have received. This is a time of reflection, understanding and comfort. Today on 02/26/2015, the family has made it public that people can come for visitations and for the funeral that will be held on Saturday at Vescio Funeral Home – Toronto Chapel, located at 2080 Dufferin St., north of Rogers Road, between 2 p.m. and 9 p.m. Funeral services will be at St. Matthew’s United Church, located at 729 St. Clair Ave. W., at Rushton Road, on Saturday at 11 a.m.
My condolences to The Marsh family. I know you are all going through a rough time, but in this rough time I pray that you will gather the strength that you need to get through it all and remember that everything that is unfolding is a part of God’s plan. We may not understand what it is at this current time, but in time it shall come to light.